The sofa book is the design of two identical bases connected by a special mechanism that with little effort the sofa turns into a full bed. This design is very easy to use and does not lose its popularity for many years. If your old sofa is worn owner — do not rush to throw it away. It is possible to fix it with their hands. Unscrew the nuts securing the sides of the sofa, using a spanner of the correct size. Remove the side panel. Unscrew the bolts or screws, the locking mechanisms of the sofa-books on a pallet. Remove and flip the seat and back - most likely, you will need an assistant. Detach the backrest from the seat by unscrewing the bolts. Carefully inspect the mechanisms if they are worn out, you will need to purchase and install a new one. Remove the old cover from the back of the sofa. Typically, it is attached with staples. Remove staples using a flat-bladed screwdriver and pliers. Take a cotton mattress or polyurethane foam located beneath the hood. Pull the nails that secure the spring unit to the frame of the sofa. Remove and carefully inspect the unit. Remove the broken spring by loosening them from the bottom and the top using pliers. Replace them. To replace you can use the springs from old unwanted mattress or sofa. Sagging springs, it is recommended to stretch the hands, without removing it from the unit. Install the "updated" spring block and clamp on the carp with the help of nails. Spend a similar renovation of the seat of the sofa. As a rule, the seat wears out much more. 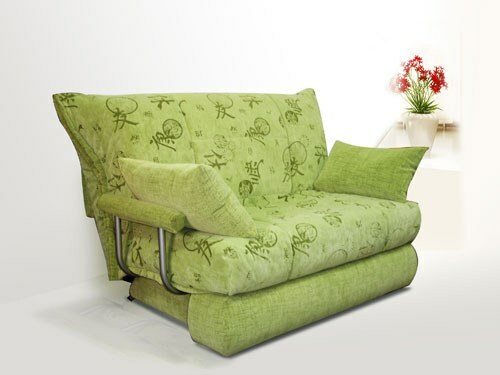 In order to increase the durability and elasticity of the sofa, it is recommended to use the foam. Slice it into pieces and stuff them tightly spring unit. Cover the springs with dense material and secure to the frame with nails. Take the upholstery foam and cut two pieces corresponding to the size of the back and seat of your sofa. Attach the long edge of the material to the junction of the beam and spring Assembly on the inner end of the backrest frame. Make sure that the foam is located symmetrically with respect to the frame. Secure the material by means of construction staples, "targeting" him to the bottom edge of the rail. Cut off the excess foam with a knife. Swipe the same procedure with the seat of the sofa books. If you want, upholster the backrest and the seat batting. Install case. If the old cover is too worn, you can make a new one. Install mechanisms - be careful not to confuse left and right. Secure them to the pallet and install in the sidewall.Your sofa seats repaired.